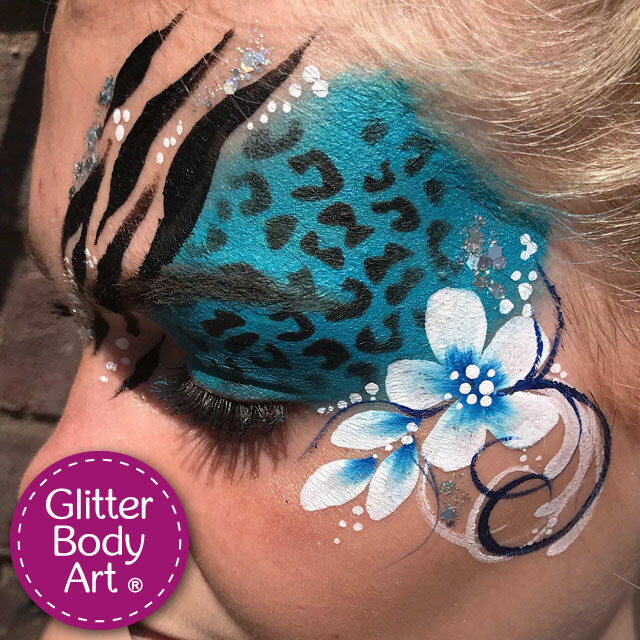 We stock a large range of Face Paints, Face Painting Stencils & Facepainting Accessories – We currently stock the well known brand Grimas Face Paint, which is water make-up (Pure) & is an unperfumed, gluten-free, water-based make-up, intended for face-painting and body-painting. 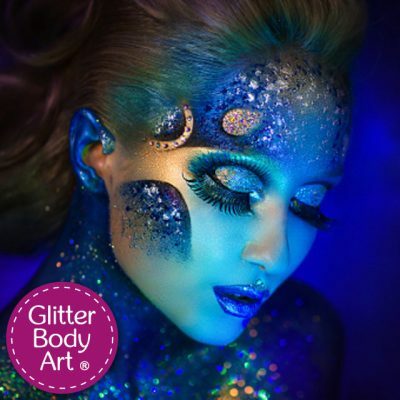 Water Make-up works just like watercolour paint. The colours can be mixed together to create new colours. Pure means that the product in question does not contain any chemical preservatives (such as parabens) or halogenated organic compounds. The water make-up comes in 15ml (28g) pots but is also available in palettes of 6, 12 or 24 x 2,5 ml cups. There are 41 matt Water Make-up (Pure) colours plus 12 Pearl shades plus 6 fluorescent colours. Grimas is designed to be used almost dry as a sponged base. 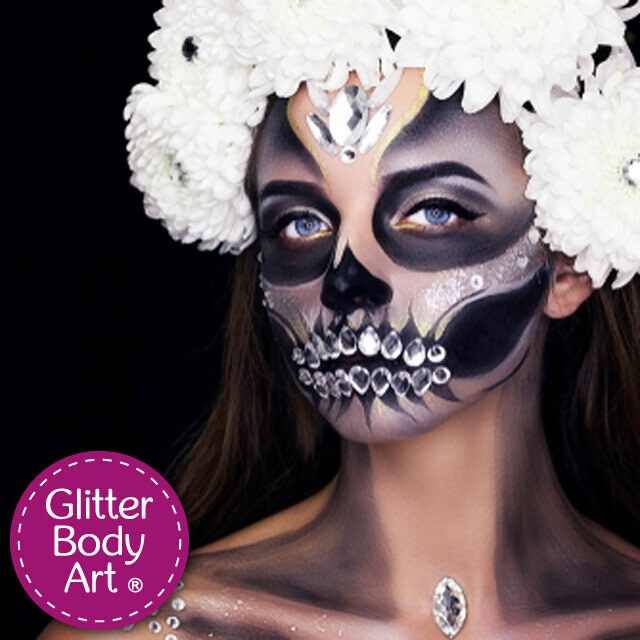 It is very easy to apply with a barely damp sponge for super-smooth coverage, and can be painted over without colour transfer, even black over white. Grimas Paint brushes and sponges are also available through our website along with other accessories. We also stock the Glitter Body Art range of re-useable facepainting stencils. 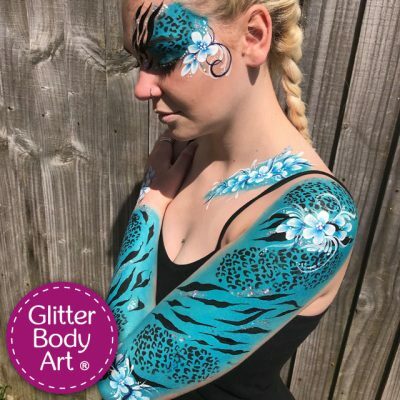 These are made of flexible plastic, non-adhesive and washable which come in over 200 designs, animals prints, stars, hearts, skulls, dragons etc. Perfect if you are not a facepainter, but want simple yet effective designs. 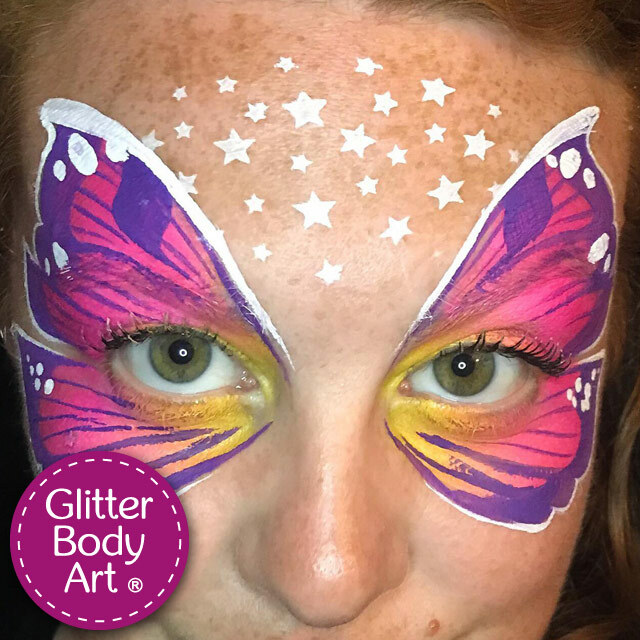 Our stencils are perfect for little hands, arms and faces and quick and easy to apply. Use a sponge to apply your facepaint over the stencil which will leave you with a beautifully detailed design. 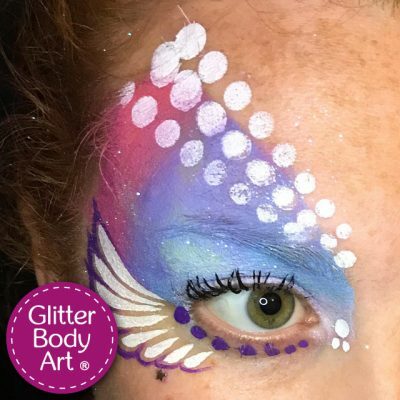 These stencils are designed to be used with face paints and a sponge or for airbrush tattoos. There is a hole in the end of each stencil so you can attach them to a keyring for ease of keeping them together.